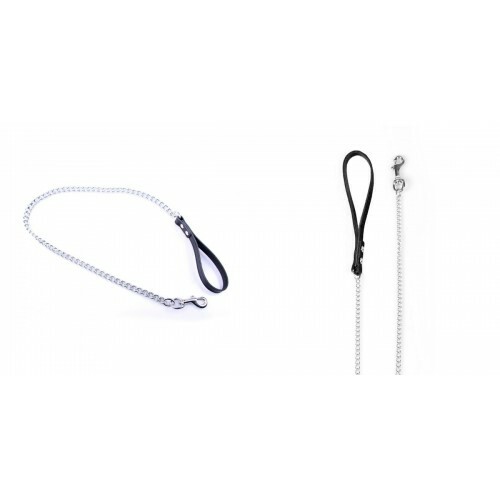 Sturdy leash, easy to attach with swivel snap hook. 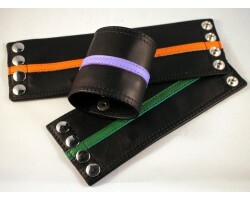 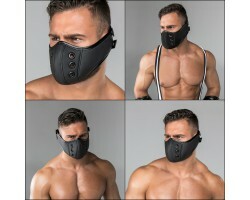 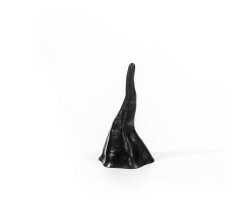 Can be used in with the collar of your choice, have the ultimate control. 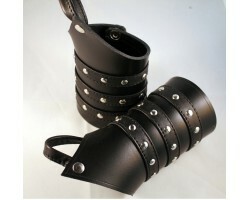 Short steel leash with leather hand-loopLength about 60 cmThe links are welded, so this line is inde..